Description: SSC announced result for Jr. Hindi Translator, Jr. Translator, Sr. Hindi Translator & Hindi Pradhyapak exam. 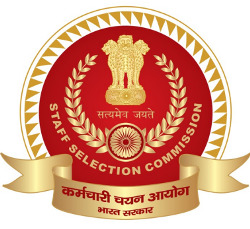 Staff Selection Commission - SSC published Junior Hindi Translator, Junior Translator, Senior Hindi Translator and Hindi Pradhyapak Examination - 2018 for Result of candidates qualified in Paper-I for appearing in Paper-II Junior Hindi Translator, Junior Translator, Senior Hindi Translator and Hindi Pradhyapak Examination - 2018was held on 13.01.2019 at various centres. A total number of 15,573 candidates appeared in this examination. After applying the cut off fixed by the Commission in Paper-I, 2041 candidates have qualified in the said examination for appearing in Paper-II. Note: Descriptive Paper (Paper-II) of the aforesaid examination will be held on 26.05.2019. Further update on examination and information on issue of Admit Cards will be provided on the website of the concerned Regional Offices in due course.